I have two keys I can take with my portable station. I don’t have a favourite but I tend to take the Palm more often than the AME as the Palm packs away into its own little shell. On the other hand the AME is mechanically a little more robust when in use and I don’t tend to bump the lever quite as much and therefore send less random Dit’s and Dah’s. The adjustment screws on the AME are exposed so it is possible to press these and unintentionally send Dit’s or Dah’s to overcome this and make the paddle a little easier to grip I have a thin piece of neoprene which I hold around the key with an elastic band. 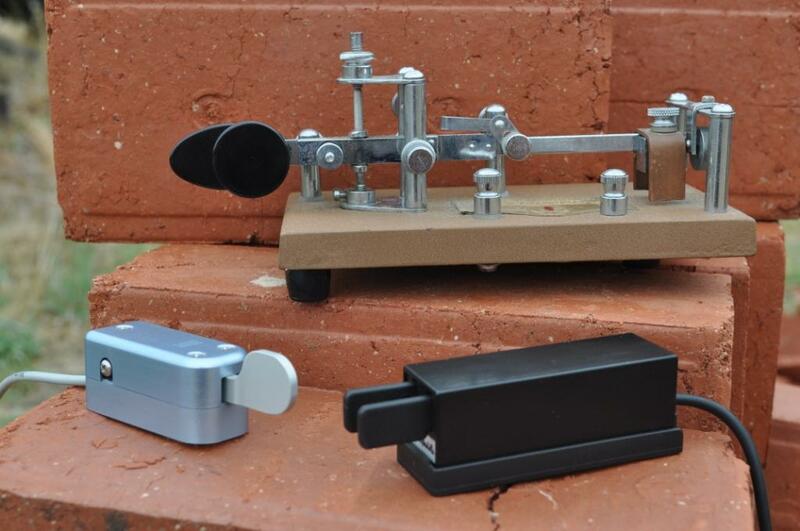 I prefer a key that is not attached to the radio this allows me to put the radio to one side and only have the key and logging gear in front of me. With 82 points in the bag I could not miss the chance for a double activation to bring me over the magical 100. Mt Cope VK3/VG-001 is an easy and picturesque walk and the second activation was the nearby Mt Mc Kay VK3/VE-007. CW only activations require a bit more time on the summit however on the plus side the radios can be smaller and power consumption is less. 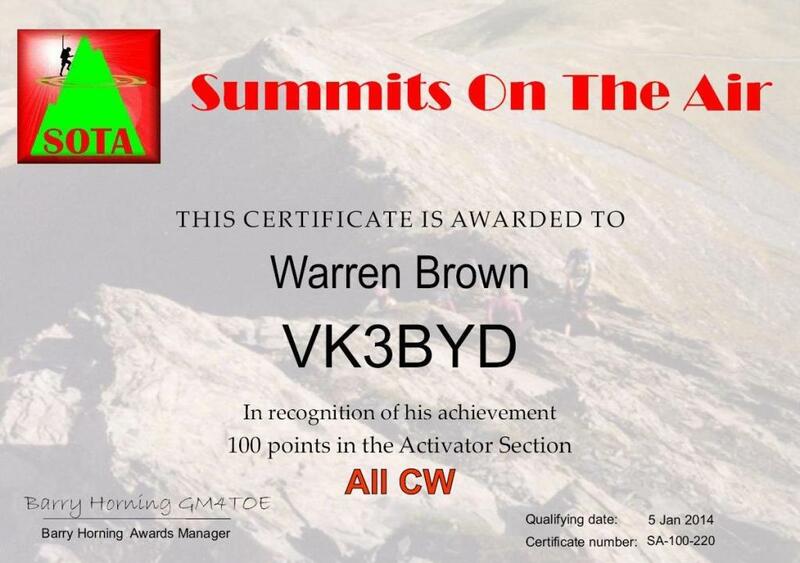 To achieve these 100 points I have made 87 CW contacts with 28 different stations I do have a few regulars as can be seen from the data collected from the SOTA Data Base. I have also put together a graph showing the averaged time between contacts (BLUE) for each activation and the number of CW contacts made (RED) for each activation. Interestingly whilst things are getting better for the CW only chaser the number of QSO’s is staying low. Well enough looking back time to put the battery on charge and get the map out to see which summit is next.